Yesterday we reported on the news that Holden’s parent company, US-based General Motors, is apparently talking to automotive import and retail giant Inchcape about taking on the Holden brand. Inchcape is a big player in the automotive space. Based in the UK, it has fingers in car-flavoured pies in more than 30 countries across the globe. Indeed, its strategy going forward is ‘To be the world’s most trusted automotive distributor and retailer’. Locally, Inchcape is the long-time importer of Subaru, and it recently reacquired the rights to distribute the Peugeot and Citroen brands here. It also distributes Subaru in New Zealand. On top of that, Inchcape also runs Australia’s largest prestige automotive retailer, Trivett, which has 23 dealerships across the country. So it has clout, and it has connections. Why does it want Holden? Australia’s oldest car brand is, not to put too fine a point of it, under the cosh on several fronts. Its transition from car manufacturer to full-line importer hasn’t gone smoothly for several reasons. 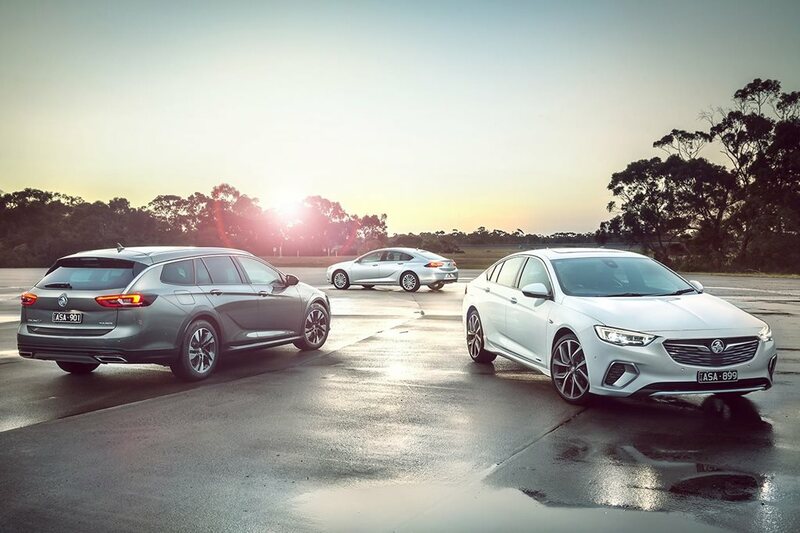 One, the decision to retain the Holden Commodore nameplate for the Opel-built Insignia has backfired, and the social media blowback on the company is intense and sustained. The car itself is also the wrong car for the wrong time in the face of an SUV onslaught, and its pricing structure also works against it gaining back any ground. Two, Holden’s current product portfolio is average at best, and is loaded with underperforming models. The Equinox, the Colorado, the Astra… all fine cars in their way, but the fug of the factory closure lingers over what should be top-three sellers in their respective categories. Former Holden insiders, too, point to a product content plan that isn’t going to improve things. Its parent company is rejigging its manufacturing footprint to strip back on platforms and engines, and it’s promised that right-hand-drive will be part of that vision. Only… GM has spent the last two years extracting itself from almost every RHD market that it used to trade in, including the UK and South Africa. When the business case for an RHD car has been cut by two thirds in terms of production numbers, it becomes a lot harder to justify. GM is also in a global cost-cutting frenzy, as it seeks to save billions of dollars in costs to shore itself up against any future economic downturns. On a sales front, Holden has slid from controlling more than 20 per cent of the entire Aussie car market to just 5.5 per cent now. It sold a touch over 60,000 cars, utes and SUVs last year – 30,000 less than it did the year previous. On top of that, the company also needs to fund and run a large proving ground, a design studio and pay its (huge) bills to its parent company for back-office networks and the like. Between them, Subaru, Citroen and Peugeot sold about 53,000 cars. Now do you see where Inchcape is going with this? In one fell swoop, Inchcape would double the number of cars it imports, becoming the second-largest importer of vehicles behind Toyota. It would also have access to the 200-odd strong Holden network. It also has strong connections with the PSA Group, which owns Peugeot, Citroen… and former GM brands Opel and Vauxhall. Opel, of course, builds the new Commodore for Holden. It would also have access to a dual-cab ute with the Colorado, not to mention links to GM’s truck and performance arms and more. It would also be immune from the back-office charges that GM imposes on its subsidiary, it could combine its own rear-of-house structure to incorporate its new brand and it could – theoretically – import the same cars at a lower price. Put simply, the Holden brand itself is an unknown quantity at the moment. It can’t seem to take a trick at the moment, and there’s a theory that retaining the Commodore name has broken too many die-hard Aussie’s hearts for it to be forgiven. Ford relinquished the Falcon brand when it closed the factory doors in 2016, and while its success rests largely on a sports car and a dual-cab ute, it’s in a better place than its cross-town rival. This is a risk that Inchcape will have to wear – will the buying public respond to a smaller, leaner and cheaper Holden brand? As well, unravelling more than 110 years of history will be a tricky task. It’s a fair bet that GM will – for the short term, at least – keep the Lang Lang proving ground to serve its Asia-Pacific testing needs, while the design studio may also be granted a stay of execution. GM’s head designer is Monaro designer and Melbournian Mike Simcoe, and several current cars – including the global Cruze and Equinox – have strong Aussie influences.